The BCLF invites you to explore our website for the latest information on zoning regulations, new ideas for conservation and information from other Lake Associations in Northern Wisconsin. The Bayfield County Lakes Forum works to preserve and enhance the scenic, natural, recreational and economic values of Bayfield County lakes, streams and shorelands. BCLF testifies. Bayfield County Board passes 3rd CAFO ordinance. 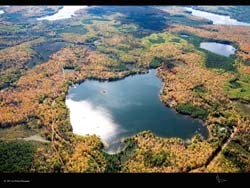 Lakes Forum supports WSI’s effort to protect our lakes from hostile WI Legislators. Learn more. BCLF needs your help in protecting your waterfront property values. We are fighting off CAFOs, AIS, and have partnered with WSI & Wisconsin Lakes. Learn more.